Bio Matrix Inc. | Training | Bio Matrix Inc. Consistent pickup/dispense rhythm while pipetting. Consistent speed and smoothness when you press and release pushbutton. Consistent pushbutton pressure at the first stop. Minimal angle (20 degrees from vertical). Never invert or lay pipette down if liquid is in the tip. Pipette slowly, holding pipette <20 degrees from vertical. For P-5000 and P-10ML model pipettes, use the special safety filters supplied. Tips must seal properly on the shaft to assure an air-tight seal and avoid leaks or poor accuracy. Tips must be soft and flexible so that the shaft is not scratched or worn prematurely. Do not leave a pipette horizontally with solution in the tip. Always release the pressure on the push button slowly while aspirating to prevent the solution from entering the barrel of the pipette. Do not pump the push button on the pipette. Use the pipette only within the recommended range specified by the manufacturer of the instrument. 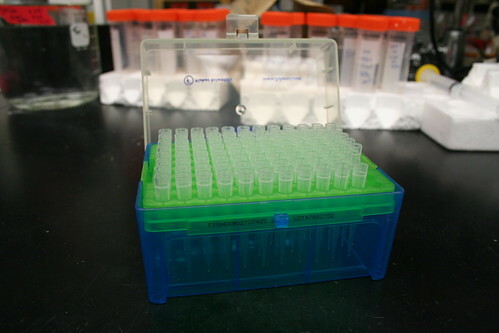 Use pipette stands to store pipettes at the end of the day.